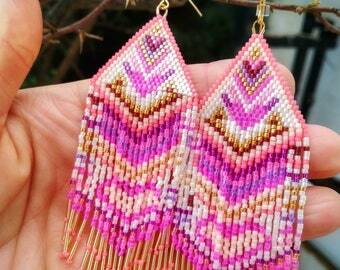 This listing features a pair of modern boho chic beaded earrings with a quite exceptional pattern. 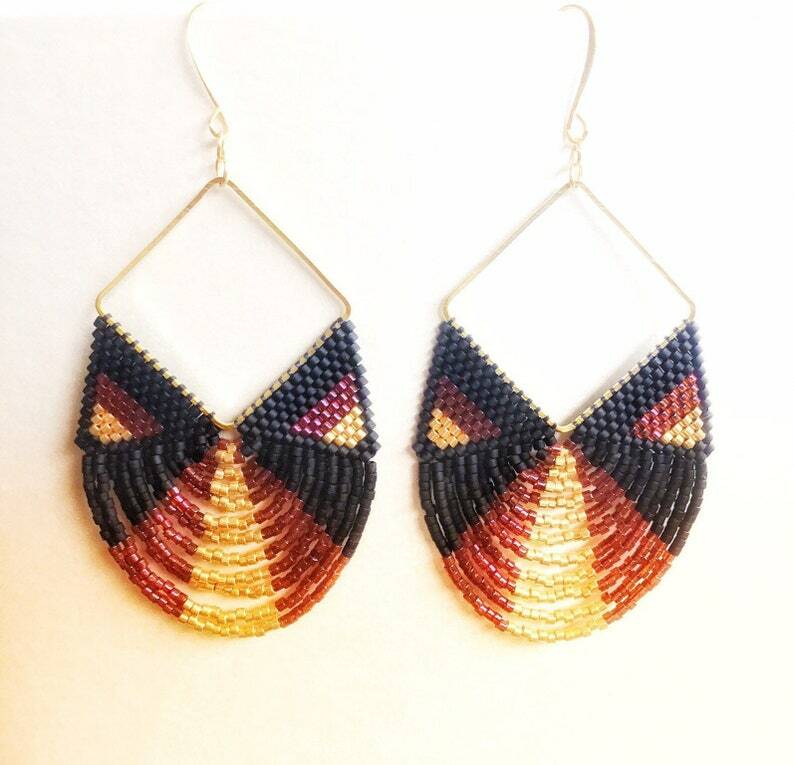 Fully designed and crafted by me with love, care and inspiration, using premium quality Japanese glass seed beads in shimmering metallic gold, matte black and transparent burgundy color. I have used an extra durable thread for bead weaving. 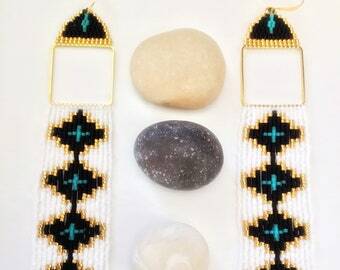 Beadwork has been tightly woven around golden colored metal findings in square shape. 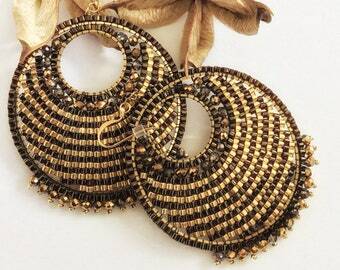 Earrings are dangling from gold plated ear hooks which come with silicon stoppers. 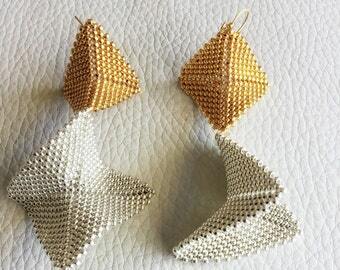 Like all SouSou earrings, this pair is surprisingly light-weight; you can hardly feel them on.